It was a carnival of sort in Ikot Ukpong and Ikot-Esop communities, Nsit Atai Local Government Areas (LGAs) of Akwa-Ibom State, as they celebrated provision of portable drinking water by the European Union (EU) and the United Nations Children’s Fund (UNICEF). While the youth from communities displayed posters with various inscription thanking UNICEF and EU for the gesture, women on their part rendered special songs. 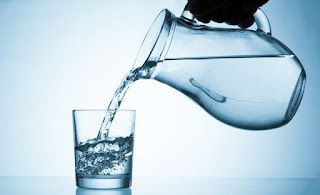 The two communities now boast of safe drinking water after several years of battling with diarrhea, cholera among other water borne diseases, following the implementation of the Water Supply, Sanitation and Hygiene (WASH) projects in the state. Before the intervention of EU and UNICEF with the collaboration of the state government under the WASH project, the only source of water supply was from small rivers in the area which had no access road. Some residents who are very ecstatic over the project told our correspondent that trekking to the river, which is two miles away, made school children go late to school. The villagers spoke at a ‘WASH’ media meeting which included a facility tour to WASHCOM sites organised by the Federal Ministry of Information in collaboration with UNICEF in Uyo the Akwa Ibom State capital, recently. Also, household chores and food preparation became a herculean task for women as a result of water scarcity. In addition, both children and women were vulnerable to violence and physical attack by wild animals, including snakes. Community members further pointed out that their sufferings with water borne diseases were over, as they now have embraced personal hygiene. According to them, the Water, Sanitation and Hygiene Committee (WASHCOM) project is an intervention by God as access to water used to be a major challenge for many decades. Catechist Pius Ukpong, the Village Council Chairman, narrated to INDEPENDENT how the WASHCOM project has alleviated the pains of residents. Ukpong also explained that the villagers usually fetch water from the village stream which he said was far away from the people and the road was very bad. On her part, Deaconess Eno John Ibok , Women Leader/Spokesperson and WASHCOM treasurer, Ikot Ukpong, said, “We used to fetch water from the stream and most times our pot get broken on the way, but now we no longer experience such because UNICEF has provided water for us. “We can now fetch from the tap, so we appreciate UNICEF and the state government for providing us the facility,” the Women Spokesperson said. Also, Sarah Akpan Nathaniel, Women Group Leader said that the water project has improved the wellbeing of the community, particularly the children who are more vulnerable to water borne diseases. Besides providing water for the community, the two global agencies have also provided sanitation facility and a tippy tap to help the villagers to practice hand washing, Nathaniel added. “The importance of safe drinking water cannot be over emphasised as it plays a major role in our day to day activities. “From the kitchen to the toilet and in our daily lives, water is very essential and with the provision of this water, the agency has given us life and hope,” she stressed. She further explained that while the project was ongoing WASHCOM monitory officers often came from time to time to supervise the job to ensure it was properly done. She expressed gratitude to UNICEF, saying the intervention was the first of its kind in the community. Edinyanga Pius Ukpong, Washcom Chairman, commended UNICEF and EU for introducing them to a new hand washing technology. Ukpong told our correspondent: “Washcom took us through hand washing facility training so that when people finish using the toilet they can wash their hands before going to their houses. The Washcom Chairman further explained, “The tippy tap is distributed in the entire household in the community. The village council bought it, I teach people how to use it but, I first demonstrate to them before I teach them. “When I go to their houses, I show them how to construct it, then I will loosen it and give the person to construct on his own, then the person will do it so they can know how to use it. In his presentation during the meeting, ‘Water, supply and quality in the Niger Delta’, Moustapha Niang, a ‘WASH specialist,’ emphasised on the need for proper orientation of the rural populace to adopt attitude change and embrace water safe plan, from water source, storage to point of use. Corroborating, Martha Hokonya, also a WASH specialist, in her presentation – ‘Why invest in water supply’ said such investment in addition to job creation, reduces diseases and mortality rate, improves productivity and also provides time for women to engage in other activities like child care and others activities which brings women together.